Isn’t it the cutest piping? It’s Fleurs des Iles by Petit Pan When I bought it I didn’t know what to do with it (I tend to do that with fabric too!) but when eventually I bought this gabardine I thought it would be a nice detail. Non è bellissimo questo sbieco con cordoncino? E’ Fleurs des Iles di Petit Pan Quando l´ho comprato non sapevo cosa farci (ho lo stesso problema con la stoffa!) ma quando ho comprato questa gabardina ho pensato di aggiungerlo. The pants were meant for knits…so I went a size up (44). A quick comparison with Alice and Olivia´s pattern told me they should fit ok. I just kept my fingers crossed and skipped the muslin! You see, the fabric was as cheap as muslin from Ikea so I wouldn’t lose much. I did however reduce the flare using Alice and Olivia´s pattern as template. I also modified the front closure. Il modello era per tessuti elasticizzati…così ho usato una taglia più grande (44). Un veloce confronto con quelli di Alice e Olivia ha rivelato che sarebbero andati bene. Ho incrociato le dita e evitato di cucire modelli di prova! La stoffa è costata quanto il tessuto di Ikea che uso di solito quindi non avrei perso molto. Ho ridotto la larghezza della gamba usando il modello di Alice e Olivia e ho anche modificato la chiusura. The fit is better than the previous version. Those darts at the front and back do help. I did have to take in the Center Back slightly…but for a better fit I would have to reshape the waistband to make it more fitted. Perhaps I should reshape the back crotch…though it doesn’t feel tight it may not be underwear related. What do you think? Don’t know about the baggy seat…I remember Sandra Betzina’s saying on her Craftsy class that you can’t remove all the bagginess from the seat. Otherwise you wouldn’t be able to sit. Credo che vestano meglio della versione precendente. Le pinces davanti e dietro aiutano. Ho dovuto stringerli in vita…ma credo sarebbe stato necessario anche modificare ulteriolmente il cinturino che ora è un po’ largo. E vedendo le foto forse dovrei modificare anche la curva del cavallo dietro…non stringono ma forse non è solo un problema dovuto alle mutande. Che ne pensate? Non so cosa pensare delle pieghe dietro la coscia… mi ricordo che Sandra Betzina sul suo corso di Craftsy diceva che non si può rimuovere tutto l’eccesso di stoffa dietro le cosce. Altrimenti non ci si potrebbe sedere. Verdict: I can go ahead and make another pair! Yes I do have more fabric…not because I broke my diet pledge…I simply needed to offset shipping costs from Germany! 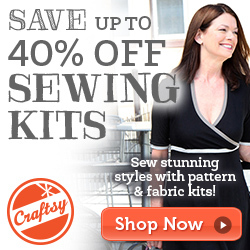 Did you have a productive sewing weekend or did something else? Verdetto: Posso farne un altro paio! Sì ho ancora della stoffa…non perché non abbia seguito la promessa fatta…ma solo perché dovevo ridurre il peso delle spese di spedizione dalla Germania! Avete passato il weekend a cucire o a far altro? These are lovely – the piping is a gorgeous detail. I’d scoop a fraction of an inch off the centre back seam at the crotch area and try a tiny fisheye dart at the bottom of the buttock. Really tiny tweaks but these are very, very lovely as they stand. Thanks for sharing — it’s always great to see how others are dealing with the complexity of pants! I think you are doing a great job With Your pants :-). Yes, the piping is VERY cute 🙂 and the shape of the pant is good on you. I am also struggeling With pant fit these days. Have made several Versions of Sandra Betzina’s princess seam pants in shorts Versions. Even though her pattern deals With a princess seam pant I am also having trouble With the fullness of fabric bellow the seat contra the seam in the bottom of the pant crotch scooping into my but. I think I will try to take some off the sides and add a little more room to the but crotch area from what Sandra Betzina refers to as the “drop of point” of the but. Pants fitting sure isnt the easiest in the world, but I think you are doing a great job on Your skills. Great job and good Luck :-). i really like these – great fit! 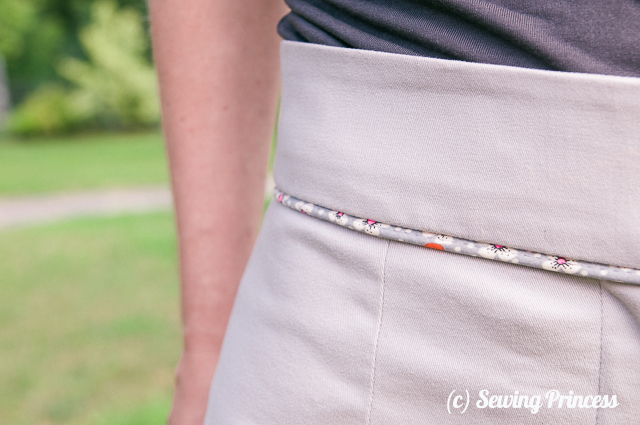 i think the waistband looks a little bit straight though – could you try a curved waistband? Ciao Silvia! I always love you’re pieces … it’s such a shame to run into fitting issues. In my limited experience (even thou I’m obsesed with the the insane crouch factor) I can tell that because you’re pelvis seems tilted backwards (like mine) … sway back … you will have to adjust for that. More often than not the drag lines in the upper thigh indicate that the crotch needs more scooping (as Jen suggested) and the fact that it cuts into your buttocks indicates that it needs to be lengthened. You should also check your HBL to be level. Hope you find this useful. They are gorgeous, a very flattering shape. And the piping! I will have to try that. Ooh, I love the piping, what a pretty detail!